Mark Savitt added a comment on Sandra Weinstein French's Profile. Mark Savitt added a comment on Profile. New comment added. Mark Savitt posted a message. Mark Savitt updated profile. View. Mark Savitt has a birthday today. 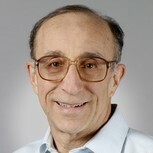 Mark Savitt changed "Now" picture. Mark Savitt has a birthday today. New comment added.